A tropical delight filled with exotic plant life in warm colors of green, orange, and gold, on a rich black ground. La Selva Black Lined Empress Swags are printed on a 100% cotton duck fabric, and have a gold twisted braid along the scalloped bottom of the swag. One pair of swags will cover windows from 36" to 60" in width. 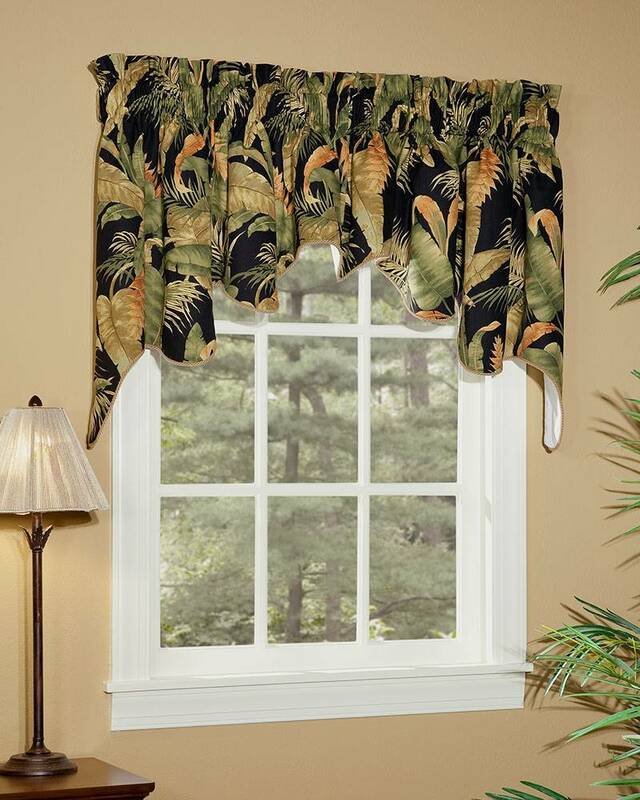 For wider windows, insert La Selva Black Lined Empress Filler Valances (sold separately) between the right and left swag panels.) Fully lined. Handcrafted in the USA.